Your Definitive High Angle Rope Rescue Guide! 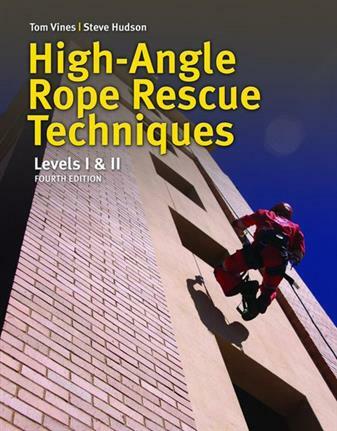 The fourth edition of High-Angle Rope Rescue Techniques: Levels I & II provides comprehensive coverage of all aspects of high-angle rescue, including planning, PPE and equipment, medical considerations, evacuations, and special rescue operations. Based on the 2013 edition of NFPA 1006, Standard for Technical Rescuer Professional Qualifications, High-Angle Rope Rescue Techniques: Levels I & II provides a broad overview of all rescue techniques to meet the needs of fire service, search and rescue, and many other rope rescue professionals. The fourth edition has been updated to include: Coverage of new protective equipment, terminology, rescue products, and techniques. All new Skill Drills that provide step-by-step instruction on how to execute important skills and procedures. Separation of High-Angle Rope Rescue I & II Level content throughout the textbook and instructor resources.